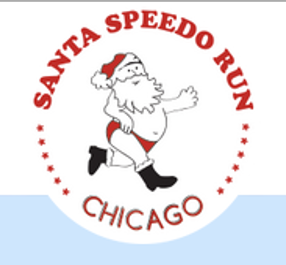 Will you be one of the crazy runners out on December 6th for the Chicago Santa Speedo Run? What are you doing December 6th? The Chicago Santa Speedo Run is a 1 mile race down Michigan Avenue ... in a speedo! Why would anyone do something so crazy? Well, I suppose some people might like to run in a speedo (anything is possible I guess!). However, there is a greater good to this swimsuit-in-the-middle-of-winter event. The race's proceeds go 100% to the Chicago Diabetes Project, looking for a cure for diabetes. This race draws some attention, with good reason! Diabetes causes death through a myriad of side effects due to elevated blood sugars. There are two types of Diabetes, Type I being that the pancreas does not produce insulin to effectively convert food to usable energy. The Chicago Santa Speedo Run raises money to cure diabetes, which means less people dying from conditions that result from having diabetes, including kidney failure, blindness, heart failure, amputations, nerve damage, heart attacks and strokes. If you have diabetes and haven't seen a podiatrist, what are you waiting for? A simple visit can assess what level of risk you have for foot-related conditions due to diabetes. We have helpful hints on how to stay healthy and keep your feet healthy too. Call us today to make an appointment!